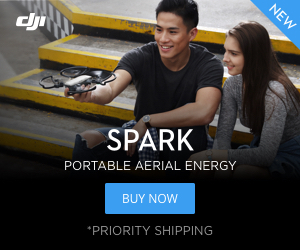 You don’t have to spend a fortune to get a good drone. In fact, there are a handful of excellent beginner drones that you can pick up for less than $50. We highly recommend you start with one of these before you trade up to a DJI or Yuneec drone. In no real order here are some of our favorite quads under $50. Each one has its pros and cons. This is probably the best of the bunch. If you are looking for something super stable with a camera and a ducted design then you probably want the Eachine E014. This little drone is a blast to fly. It has a variety of different flight modes and you can fly it with the included remote or use your smartphone. Eachine even included smartphone joystick controllers for better precision. Learn more about the E014 HERE. This is a super durable beginner quadcopter with a camera. It has plenty of zip and is a blast to fly. Syma drones are known for their durability and this one is no exception. The camera is decent, but don’t expect HD quality. It will take good pictures outside and in good light. It even will stream live video to your phone so you can see what the drone sees. There is no altitude hold on this drone, so it will take a bit of practice. Overall this drone is a lot of fun and a solid drone for any beginner. Learn more about the Cheerwing Syma X5SW HERE. The Eachine E011 and E010 are two excellent small beginner quadcopters. They are both excellent indoor flyers and even experienced pilots often have a handful of these little drones hanging around. The ducted design is awesome and helps make the drone more durable, quieter, more efficient and even safer. The E011 is our preferred model as it has the better and upgraded motors, but the E010 is readily available. Both of these drones are often converted to carry a camera to fly FPV (first person view). You’ll need to pick up a camera and some goggles but doing so allows you to fly like the pros on ESPN. There is even a super fun Santa Claus Edition. Learn more about the Eachine E011 HERE. The e1700 is a complete DIY kit. The SkyViper e1700 is a super inexpensive do-it-yourself drone kit. It costs less than $17 and the detailed instructions make it fairly easy to put together even if you have never built a drone before. It is a good way to learn about the components a drone uses. It took me about an hour and a half to assemble the drone and the controller, so it isn’t a quick process. When you are done you’ll get a very capable drone. The e1700 has some very nice features like altitude hold, multiple speeds, and push button flips. 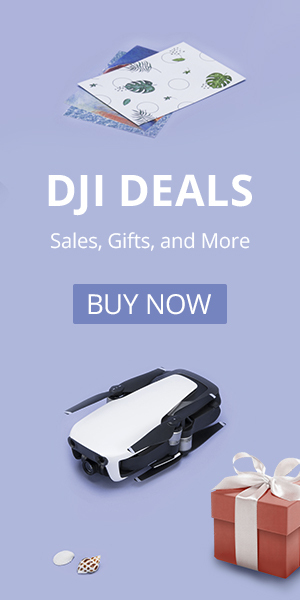 If you aren’t into putting it together SkyViper sells very similar drones that are prebuilt and also inexpensive. However, we highly recommend you pick up the DIY option and try for yourself. Learn more about the e1700 HERE. The SkyViper e1700 is a good beginner drone. You can view a live video feed from the camera of the Reaper on your smartphone. The Reaper is probably the most advanced drone on this list. It has an excellent beginner mode not found on most drones that limits the height that the drone can fly as well as speed. It does push button flips and you can record video and take pictures using its camera. It is a superb drone indoors as it has both altitude hold and optical flow making it a very stable indoor flyer. Learn more about the Reaper HERE. Take a look at the Hubsan H107C with its remote. The small Hubsan X4 is a classic drone. It is a fast and agile flyer that thankfully is also quite durable. There are a handful of Hubsan models to choose from. Our favorite is the H107C because it adds an onboard camera so you can record your flights. This probably isn’t the easiest drone to fly on this list, but it just might be the most fun. Learn more about the Hubsan X4 HERE. The Ryze Tello is probably the best drone you can buy for any beginner. It is small, lightweight and durable. It is incredibly stable, so much so it can mimic some of the impressive flight modes that more expensive GPS drones use. Its camera can take best-in-class 5-megapixel images and is capable of HD video. It even has electronic image stabilization to help smooth out your footage. With an impressive 13 minute flight time, you’ll love the Ryze Tello. The Tello may have been built by Ryze but was done in tandem with DJI and Intel and that clearly shows. Learn more about the Tello HERE.